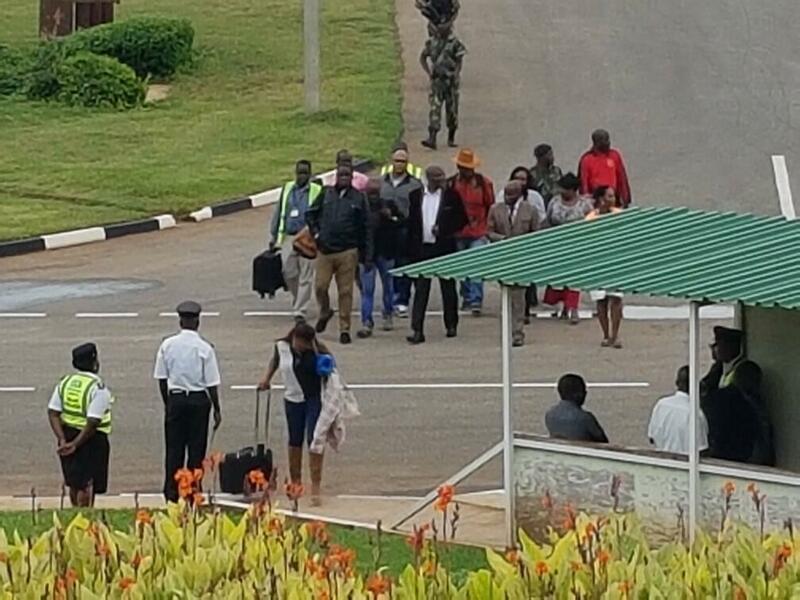 Fugitive murder suspect Misozi Chanthunya arrived in the country on Thursday afternoon through Kamuzu International Airport (KIA) under tight security. Chanthunya arrived on a Malawian Airline flight, at 4.30 pm, accompanied by Interpol, plain-clothed police officers, Ministry of Justice lawyers and other unidentified companions. Journalists who rushed to the airport were blocked from talking to Chanthunya who has spent eight years while in South Africa after murdering his ex-girlfriend Linda Gasa in 2010. After leaving the airport, Chanthunya was taken to police cell where he spent a night.